Thought's about software, Grails, Java, web development and anything else that comes to mind. So Grails 1.1 Beta 2 is out. Rejoice! There are many new features that are detailed in the release notes. However, one of the main ones in this beta is the new support for Maven. Peter Ledbrook, core Grails committers, has been tirelessly working away at making the Grails + Maven experience a seamless one. I personally even went as far as installing Maven 2 onto my machine, which was a huge jump for me I can tell you, and I can tell you Peter's done a great job! As ever we encourage Maven users to give the Maven integration a go and report any issues that you may have with it in JIRA. Enjoy! Regular readers will recall I mentioned in my announcement of the SpringSource acquisition of G2One that the potential to integrate Grails with more Spring portfolio products is huge. Well, SpringSource colleague Russ Miles has taken the first steps in integrating Grails with Spring Integration 1.0. For those of you who don't know, Spring Integration is a lightweight way to do message passing through endpoints in a similar way to some of the big ESBs. The article is a precursor to even more exciting stuff involving Spring Integration being made available as a Grails plugin. Watch this space. Those crazy guys over at the Grails podcast interviewed me about various things ranging from being part of SpringSource to the upcoming Grails 1.1 release to my deep hatred of all things Maven. Check it out. You may have already read about it in the various news outlets and blogs covering the announcement, but if you haven’t I’m excited to spread the word that G2One - The Groovy/Grails company - has been acquired by SpringSource. The result is that Groovy and Grails join the growing number of excellent Open Source projects delivered by SpringSource. The Spring Framework really pioneered simplified development on the Java platform. A philosophy that is the very essence of Grails. Both frameworks aggressively try to makes the lives of developers easier. The Spring Framework provides an abstraction layer of common Java enterprise APIs, whilst Grails uses the Groovy dynamic language to further simplify Spring and Java. In this sense Grails fits perfectly into SpringSource’s philosophy. On the Grails front this is great news at multiple levels. With Grails already being based on Spring, users of Grails now have access to expertise about not only Grails, but also Spring, the framework that underpins all of Grails. Grails will benefit further from tighter integration with the Spring Framework with exciting integration possibilities on the horizon between Grails and great Spring portfolio products like Spring Batch, Spring Integration and SpringSource dm Server. Grails will benefit from greater visibility and wider adoption simply by being under the SpringSource umbrella. In addition, SpringSource will bring all their expertise around Eclipse plugin development ensuring that users of Groovy and Grails have a first class experience in the Eclipse IDE. At SpringSource, there is a lot of excitement about Groovy and Grails. Grails adds that little bit of Web 2.0 spice to the company and provides yet another avenue for users to adopt the Spring Framework. We’re literally buzzing with ideas on how Spring, Groovy and Grails can be integrated in the future and look forward to the feedback of the respective communities. 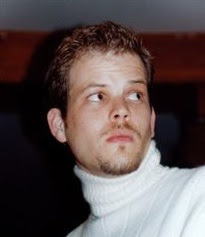 I personally will continue to lead Grails at SpringSource, whilst Guillaume remains the project lead of Groovy. The majority of the former G2One team have taken up positions at SpringSource. On the topic of Guillaume, he is as excited about this development as I am and has a great post on the benefits of the acquisition to Groovy. Check it out! Matt Taylor has posted a couple of nice articles demonstrating how to use GrailsUI's dataTable component. Cool stuff. Over the past few months we've had a lot of demand from different clients for a UI component library for Grails, built and supported by G2One. Thanks to a great collaborative effort, GrailsUI 1.0 is now available built on the excellent Yahoo UI library. Matthew Taylor, G2One Software Engineer and the lead of the GrailsUI project, has the lowdown on what is on offer. Check it out! The main portal for Sky television has relaunched written in Grails. Sky, also known as British Sky Broadcasting or BSkyB, employs 17000 people in the UK and operates the largest satellite network in the UK. Congrats to the Sky team! Update 07/10: Couple of new things have arison since this was posted. Firstly, Sky actually employ 17000 people not 11000. Seems the Google sample data I obtained was out of date. Also Glenn Saqui has a nice write-up on the architecture of Sky.com on Marc's Blog. Altogether the 4 subsites listed above receive over 110 million hits per month and run on a cluster of web layer machines and 2 db machines. Checkout the aforementioned link for more info. Our busy community of plugin developers have been at it again and now there is a brand new plugin for Grails that adds support for the Terracotta data grid. It was always possible to do this with a bit of manual configuration, but now the plugin automates things nicely using a few new Grails command line scripts. This is one of the really great things about Grails and Groovy, because Groovy classes are just standard Java classes it is possible to integrate Groovy or Grails applications with any existing Java infrastructure, including data grids like Terracotta and Coherence. Awesome stuff. Not to be outdown, however, Glen Smith has launched the Groovy Awards ! A site dedicated to nominating the best contributors and to the Groovy / Grails community. Awards up for grabs include Groovy / Grails t-shirts and other goodies. Check it out. On my front, I know I have been rather inactive posting. Books are really all consuming beasts. I have given a go to twittering now and again about what I'm writing about, although I'm still not sure I "get" twitter. I'll be giving a talk on the state of Grails at the London Groovy+Grails user group meeting on the 31st of July. Skills Matter are hosting it as usual, be sure to sign-up here. Apologies for not posting as frequently recently, I've been hard at work on the second edition of "The Definitive Guide to Grails" and also working on feature development for Grails 1.1 (we now have JSP tag library support in GSP and massive improvements to the plug-in system). "Our training events are a fantastic experience. G2One are the folks who lead and sustain the development of both Groovy and Grails. No one understands the technology better than the people who build it. G2One training events give developers an opportunity to spend several days with a technology expert covering everything from fundamentals to advanced language and framework features. The sessions include a perfect mix of lecture and reinforcing lab work. That hands on approach is a great way for developers to internalize the details. There is no better way to quickly get a team up and running with the technology." Brian Guan, one of the pioneers of Grails use within LinkedIn, has started a blog series about their experiences with Grails. The first post presents the slides the LinkedIn guys presented at the recent Groovy/Grails meetup at JavaOne. It makes for an interested read so check it out! We've just released Grails 1.0.3, which includes 230 issues resolutions and improvements since the last release. The release notes go through the full details, including outlining some of the new features like enum support and interactive mode. 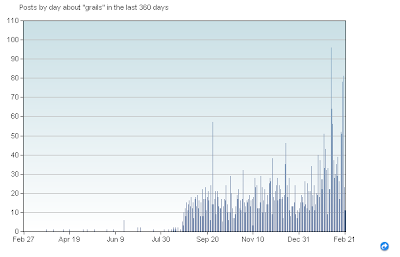 Grails has come a long way, since the release of 1.0 Grails has been downloaded over 186000 times averaging out to around 50000 times per month. That puts it on par or not far behind some of the biggest open source projects like Spring, Hibernate and Struts in terms of downloads. The most exciting thing for me though is the plug-in community with over 70 plug-ins in the repository some of the new ones include Axis 2 support, Java2D with GraphicsBuilder and profiling (contributed by one of the biggest Grails users LinkedIn) and debugging plug-ins. Awesome stuff. Now I'm shifting my focus to the second edition of the book, and feature development for Grails 1.1. We've just launched a re-write of the Grails.org site in Grails. Previously the site was powered by Confluence (the Atlassian wiki), now in the spirit of eating ones own dog food it is a fully Grails powered site. Now its there and its more than a simple page turner, but a full featured wiki engine including versioning, diff'ing etc. and the source code is available at Codehaus. Enjoy! As I write this JavaOne 08 is being wrapped up and I am horizontal in bed. I somehow managed to get pleurisy and pneumonia a few days before the event so missed it completely. Luckily, the awesome Guillaume Laforge delivered my talks on Groovy and Grails instead of me, but sorry to those who were expecting to see me there, health comes first in this case. It seems to have been another successful conference from what I could infer from the twitter feed and various blog postings. Was nice to hear Groovy in Action was 3rd and The Definitive Guide to Grails 6th of the best seller list after day 1. On that topic of the books, being bed bound for a couple of weeks has given me the chance (when I'm not sleeping and feeling too ill) to spend some time planning and writing the second edition of the "The Definitive Guide..". I'm co-authoring with Scott Davis, so the book should be bigger badder and more impressive this time. Target release date is the end of the year. Lets hope the codene doesn't make my ramblings to incoherent! For those of you interested, Grails applications deploy and execute on SpringSource's new Application Platform without any issues. I have updated the Grails deployment page to that effect. Great to hear that Grails won second prize at the JAX innovation awards, Guillaume was there to accept the award as I was away on annual leave in Thailand. There is a remarkable amount of innovation going on within the Grails community itself, just in the past week or so we've had new releases of the Selenium plug-in, the JSecurity plug-in, a JAWR plug-in, an OpenID plug-in and the new simple Authentication Plug-in. All contributed by our awesome user community. Amazing. The news that Ext-JS has, from one release to the next, changed from a modified LGPL to a GPL based license nearly made me fall off my chair. There have been many poor judged, and ill advised decisions made by software companies over the last few years, but this has got to be up there with the stupidist I've seen and I'm not even personally an Ext-JS user. What they have effectively done is built up a community, taking full advantage of the open source model by accepting user contributions and patches and then turned around and kicked their own community up the backside. It is projects like Ext-JS that give open source a bad name. How can a company have faith in open source if the people behind it can't even decide how to license the thing? When you start off in the software business you have to very early on decide whether you are an open source company or whether you are a commercial software company. If you choose the former then you need to choose an appropriate license. For platforms the GPL license can make a lot of sense (think Linux and Java) to prevent forks, force contributions etc. although I'm still not a big fan of it. On the otherhand for libraries or frameworks only a few licenses make sense (Apache 2.0, MIT, BSD and to a lesser extent LGPL). With Grails we went for Apache 2.0 as one of the most liberal licenses out there. Once you've decided on the license as an open source company your job is the grow the community by attracting users who put faith in your product and the fact that its licensed in a liberal way. Those users would not come in the first place if you had a restrictive license. By choosing the open source route you have made a decision as a company to promote the community driven approach. Of course this doesn't stop you from releasing a commercial version, you could dual license it as Ext-JS have done for those who want the comfortable feeling of paying for something. You cannot however, have it both ways you are either an open source company or you are not. Ext-JS seem to be stuck in 2 minds as to whether they really are an open source company, it is this indecisiveness that is going to see their community go elsewhere. It is not like they're unique either, the Ajax framework space is super competitive and they've just dropped the ball and given their competitors a big advantage. My personally prediction on this one is that they'll lose a lot of users, probably to Yahoo UI and jQuery UI or possibly Dojo. Something else will soon come along to fill their space and soon they will have lost their competitive advantage, their users and all those license renewals. Sky (commercially known as BSkyB), who are the biggest satellite broadcaster in the UK and largely owned by News Corporation (Rupert Murdoch et al), have re-launched their Sky showbiz news portal, powered by Grails. The site was put together by energizedwork, a consulting firm in the UK, well done guys! This represents one of the largest, commercial public facing Grails applications (that we at G2One Inc are able to talk about at least ;-) out there at the moment with traffic in the region of 186 million page views a month. Its great to see so many huge companies taking the leap to Grails, long may it continue! "If you're going to use Groovy the same way you use Java, there is absolutely no gain. Just a performance hit." However, this sadly is missing the point. Sure, if you write Groovy like Java you get no real benefit, but it provides that migration and, crucially, learning path onto a Groovier way. Learning a programming language is for the most part trivial and can be achieved in a few days. Learning the libraries is what takes the time. Groovy shares the same Java APIs as standard Java, you know things that you know and love like java.io.File, java.lang.String etc.? def text = "Hello World"
text = text - "World"
println text // prints "Hello "
println text[0..-3] // prints "Hell"
Once you learn the "new way" combined with meta-programming capabilities that Groovy has on offer you'll never look back. "Groovy is Java AND Groovy is not Java at the same time"
In other words, you get the best of both worlds. Sven is back with his Grails podcast, now a fortnightly event, and even better Glen Smith, the brilliant ozzie behind Gravl and Groovyblogs (2 great Grails sample applications), has joined him! The Atlassian guys (creators of JIRA, Confluence etc.) are using Grails for some of their projects and have written a nice article on how to setup Grails, with the Acegi plugin, and Atlassian's single sign-on (SSO) solution Crowd. Nice work. At 2GX - The Groovy/Grails Experience, I did a presentation on empowering Spring with Groovy DSLs which demonstrated Grails' Spring BeanBuilder in action. The demo showed how Spring and Hibernate can be dynamically configured at runtime using BeanBuilder and then interacted with via the Groovy shell. I promised a few I would make it available so here it is. So, I'm back from the 2GX - The Groovy/Grails Experience which was yet another event, brilliantly put together by Jay Zimmerman and the No Fluff crew. The good news is, if you missed out there is another one in the fall/autumn months in San Jose, CA. The attendance was excellent for such a focused conference with close to 200 people in total all buzzing about Groovy & Grails. I delivered my "State of Grails" keynote on the Thursday evening which went into some analysis of where we are since the release of Grails 1.0 from a growth perspective, but also from a technology perspective. I wasn't planning to, but a few people at the conference asked me to post my slides to help persuade managers etc. of the viability of Grails, not just from a technical perspective, but from a growth and community perspective. So if you're in the same position, check out my slides, the following is a summary of the contents. When we released Grails 1.0, Codehaus' bandwith usage went up by a staggering 40gb. The downloads have been in the 10s of thousands since the release and luckily Contegix, the kind folks who host Codehaus, have freed up some extra bandwith for the servers. Clearly, we still have a long way to go to make Grails as hugely popular as things like Spring and Hibernate, but we're heading in the right direction which is great news. This time there is no such slippage and the 2G - Groovy/Grails Experience is coming to Reston, Virginia on the 21-23 of Feb! Organised by the No Fluff crowd, it features an amazing amount of great Groovy & Grails talks from some great speakers (other than me of course ;-). I'll be doing 3 talks on various aspects of Grails and can't wait, its going to be a great event. See you there! Grails 1.0 is out the door! We've put the finishing touches on Grails 1.0 and its out. Time to celebrate with some sleep.. enjoy! RE: Groovy and JRuby: Enterprise-Ready? It is entitled "Groovy and JRuby: Enterprise Ready?" and its conclusion is that Groovy is not due to "memory leaks". The report is complete nonsense of course, and it put together by someone who doesn't understand the different language idioms. So what this does is allow the GroovyShell (and its class loader) to be garbage collected by the JVM. When the class loader is garbage collected so are the classes loaded within it. JRuby of course doesn't have this problem as its interpreted. Judging whether a language is "enterprise-ready" without knowing the language idioms and basing it on a 4 line script is to be honest quite ridiculous, so remember beware of silly "official" looking reports without verifying the facts for yourself. Something interesting has been happening in the blogosphere over the last few days. It seemed to all kick-off with Rick Hightowers post on Why Syntax Matters. It seems a mini-backlash is brewing against the Ruby hype. Rick feels (and this is his opinion) that Sun should ditch JRuby and support Groovy because the syntax and migration path is so much easier for Java developers. He and several commenters on his blog, feel that Ruby is too different to Java. The post was features on JavaLobby and InfoQ. This is of course the main reason I was sold about Groovy as it eliminates the context switching between languages as they are so similar, but a blog post that got me thinking the most was Cedric's entitled I'm not Tired of Java Yet. And you know what? I agree with him. Unlike Ola Bini (JRuby committer) who is repeatedly questioning Java, I love Java and still believe it is a great language for many common tasks. Its just not great for everything. In the past Java was seen as "the one language to rule them all". Now as alternative languages like Groovy start to mature, its about picking the right language to solve the problem at hand and that tool is often Java. Things like processing strings, doing really dynamic stuff and heavy manipulating of collections can get painful in Java. However, its death is highly, highly exaggerated. One of the reasons I believe so strongly in Groovy and Grails is that it is not about ditching Java or the Java platform, it's about embracing it. Groovy supports true polygot programming when combined with Java thanks to the seamless way they integrate with one another. I, and most Groovy programmers, still love programming in Java and have no plans to ditch it anytime soon. Use each language when it makes sense. It is about using the best tool for the job. Update: As of Grails 1.1, Grails now provides Maven support. My personal feelings towards Maven haven't changed much, it is in my view basically the EJB2 of build tools. However, if you want to use Maven with Grails that is now a possiblity. In his post entitled "Grails - The Good, The Bad and the Ugly", Jonas has some nice praise for Grails, his main beef is that it is not built on Maven. My goodness, what a mouthful the Maven example is. There is a common acronym in the open source world called RTFM (read the *ing manual), when a user asks a question on a mailing list and the "experts" respond by pointing them to the place in the manual. For me Grails is all about dramatically simplifying, and reducing the cases where you have to RTFM. Grails wraps popular Java libraries like Spring, Hibernate, Sitemesh and Quartz and does a damn good job of hiding that complexity. I'm not saying you never have to RTFM manual, but once you have learnt Grails the cases where you need to are few and far between and for simple things like creating an application, once you know how, you never need to go back. In other words Grails is all about simplifying Java EE. Now Maven is the complete opposite of this. Why do I have to go and read their manual everytime I want to creating a project. I mean there is no way I will remember all that crap and their documentation is pretty appauling to begin with. I think only Java people would be willing to accept a build system like Maven with all its complexities. Any other community would be like "what the hell is this?". For me Maven is the EJB2 of build systems: over complicated, over engineered and requiring an intelligent, code generating IDE just to work with it. Having said all of that there are a good number of companies adopting Maven (god help them) and so I am not against having Maven support in Grails, but not by default. Arnaud from Octo has put together the excellent Maven Tools for Grails project, which allows you to create a POM for a Grails application and integrates Grails with the Maven lifecycle. Maybe one day we will include it in Grails core by default as an optional extra if Arnaud is interested in that. However, I feel there is no use putting Maven in by default, because I strongly believe that in the long term it will be replaced by better tools like Gant, Raven, or Buildr. Oh I love these back and forth posts, as a follow-up to their original thoughts on my last post, Relevance have put up one called "How to pick a platform". Unsurprising, they choose Rails over Grails for the case where there is no legacy "baggage". Ruby is a better language than Groovy. Spring does most of its heavy lifting in the stable layer, which is not the right place. So let's deal with these one by one. First, the whole "Ruby is better than Groovy" deal, this in my view is subjective and not worth arguing. Ruby has some nice features, and so does Groovy. If you come from a Perl background you'll probably like Ruby's syntax. If you're a Java guy, Groovy is pretty nice. "The first layer is what I called the stable layer. It's not a very large part of the application in terms of functionality. But it's the part that everything else builds on top off, and is as such a very important part of it. This layer is the layer where static type safety will really help. Currently, Java is really the only choice for this layer. More about that later, though." Later Ola goes on to say that Java is no good for the stable layer either and that another statically typed language like Scala would be better, but at no point does he say that a dynamically typed language is good for the stable layer. Since Rails is 100% Ruby and, according to Ola Bini (JRuby committer) its not a good idea to build "the stable layer" in a dynamically typed language (Ruby) who has the better architecture? Grails where the stable layer is built on powerful, stable and performant Spring or Rails where the stable layer is in Ruby, which is dog slow and problematic. I'll let you decide. Personally, I don't buy into Ola's problems with Java for this so called stable layer nor do I believe that a dynamic language can't be used, at least in part, in the stable layer, because 25% of Grails' "stable" layer is written in Groovy. However, what I will say is Relevances' 2 conclusions are complete nonsense and fall into the "Crap" category of their original post. What I advise anyone trying to make this decisions is download and try out both frameworks and use what suits you and your company. Every business is unique and not every framework is suitable for every business need. Don't buy into nonsense from either Stu or I that ones architecture is better than the other without comparing how it fits into your own existing architecture. 6. A rich plug-in system that integrates Grails with technologies Java people care about like GWT, DWR, JMS etc. To put this one under crap sadly misses the point by a million miles. Rails has zero enterprise penetration, let's put that out there right now. Grails on the other hand has enterprise penetration and is only growing. A large part of this is the Spring toolkit which solves more enteprise problems than you can shake a stick at. The comments on the Relevance blog back this up. Rails' attitude of openly shirking the enterprise has left a big gaping whole that Grails is happily filling. And finally for a Rails guy to call Spring a leaky abstraction is a little rich. I'm not arguing that Rails has a smaller community, merely that it has plateaud, whilst Grails has no where near reached that point and has the potential to go much much further. Watch this space. First let me say happy new year to all readers. I myself have just got back into the swing of things after spending some family time over in Spain. It is nice to get back and see that even though with the holiday period the good stuff coming out of the Groovy and Grails community doesn't stop. Next, for those of you who haven't been following Glen Smith's exploits in producing his Grails based blog called Gravl, checkout the latest screencast its looking really awesome. In the spirit of consuming ones own dog food, once he has done I may well migrate to Gravl! As for the Grails 1.0 release we were supposed to ship that by the end of the year, but with the Groovy release coming a bit later and our aims to deliver a really high quality to release we decided to push it back a bit. The target is this month sometime so stay tuned.